South Klong Prao beach map. After you pass Klong Prao Resort, the road heads away from the beach and meanders inland and then through Klong Prao village, before running parallel to the beach again towards its southern end. 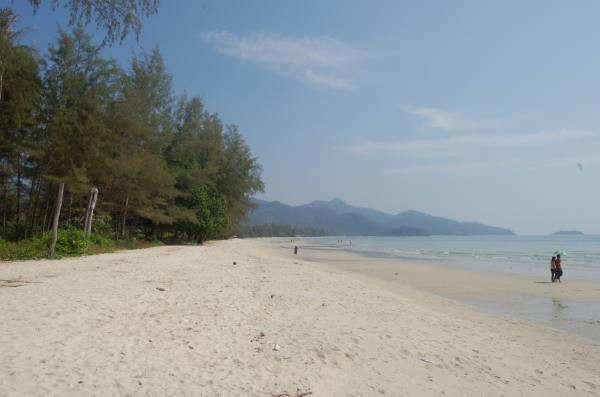 The far southern section, known locally as ‘Map Kang Khao’ is home to several of the island’s best resorts. If you want a safe bet for a 4* hotel then Emerald Cove, The Dewa or Centara Tropicana all fit the bill. A little further north, the centre of the beach is always very quiet. It;s here that you’ll find budget fan huts at Tiger Hut and KP Huts. These are no frills and a throwback to beach huts from the 80s & 90s. A far quieter, more laid back spot than Lonely beach, to the south, where most backpackers congregate. If you are staying around the south end of the beach then you’ll be within easy walking distance of the village. Unlike the north end of the beach or White Sand beach, this is a real village. It’s not all tourist related businesses. So you’ll find a lot of good restaurants and streetfood and local shops where you can buy just about anything you need. What you wont find is shop after shop selling the same souvenir items or beachwear. 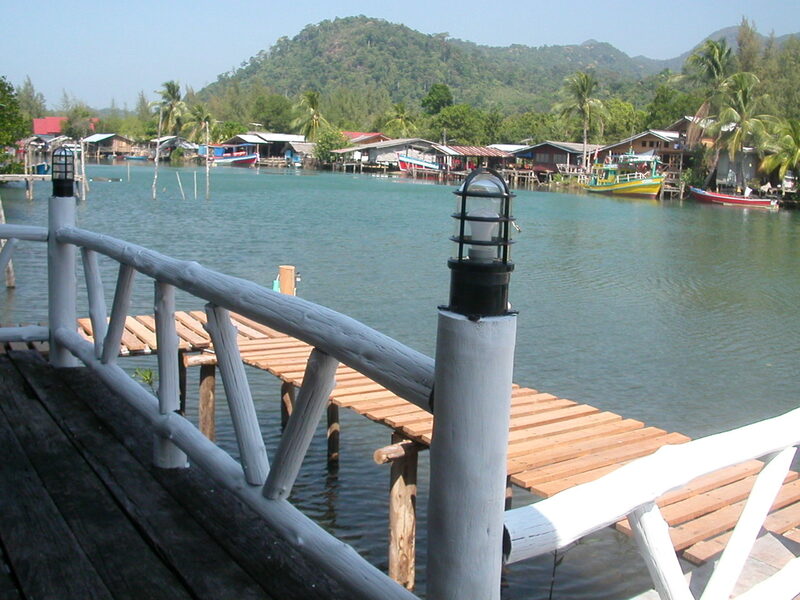 Our guesthouse – Baan Rim Nam – is on the estuary in the centre of the beach. One of the nicest spots on the island and one that many people don’t see as it’s hidden from the main road and also the beach. For detailed information on the sights, sounds and smells of Klong Prao village and environs, see the Island Guide. Or for photos, see the Photo Gallery. The best location if you want a cheap hut or luxury resort on a long beach. You'll find plenty of great Thai food in the village near the south end of the beach. Mid-price bungalow resorts lining a long beach that rarely gets busy. Variety of touristy shops and restaurants on the roadside close by.